Type C USB ports are being widely used by many system manufacturers for swifter data transfer. Most of the giant players like Apple and Google have already started to replace Thunderbolt. With the question of surviving in the current competition, the research and development department behind the development of Thunderbolt have come out with an excellent solution for this. The old saying goes like that if you can’t defeat someone, then ally with them. Intel also did the same thing. They realized that they can’t compete with USB Type C, so they ultimately integrated the facility of USB-C to their new USB connector named as Thunderbolt 3. The move by Intel will be well appreciated since, it will ultimately unify the ports available on a computer or a laptop. But the problem is the resemblance. The user will find it difficult to distinguish the cables. 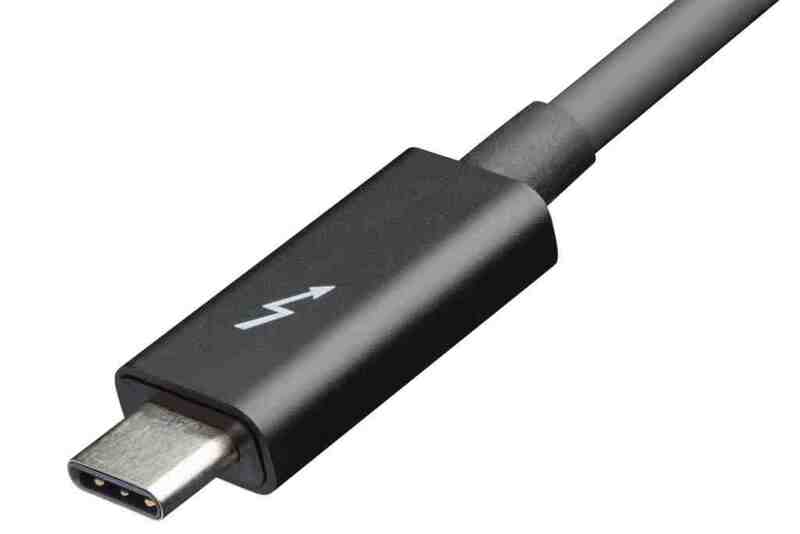 Thunderbolt 3 is a look alike of currently available USB-C cables. It supports the same power and same amount of data transfers, in certain times, the former has got a higher transfer rate. Thunderbolt 3 could transfer upto 40GBps. Only distinguishing mark is a small Lightening Mark on the connector. It is important that Thunderbolt works by integrating electronics directly to the cable. This makes Thunderbolt to work speedier than other regular USB Type C cables. Users should go for looking on the Lightening Mark on the connector if they are looking for Thunderbolt 3, otherwise you end up buying ordinary USB Type C cable. Intel also made it clear that the current Thunderbolt and Thunderbolt 2 accessories and cables will be transformed as companionable with Thunderbolt 3. Do you wonder how would this be possible? You can make it possible by the use of an additional adapter. With adopting USB-C in their product and not rivaling with it, Intel clearly gives a message loud and clear that, the new generation USB Type C has got a bright future ahead. Intel is expected to deliver the initial batch of their new product by the end of this year. They are expected to hit the markets across the world by the beginning of the next year. Till now nothing has been revealed by Intel regarding its pricing and other specifications. But one thing Intel promises for sure is with this innovation, users are able to transfer data between various systems much faster than ordinary USB cables.